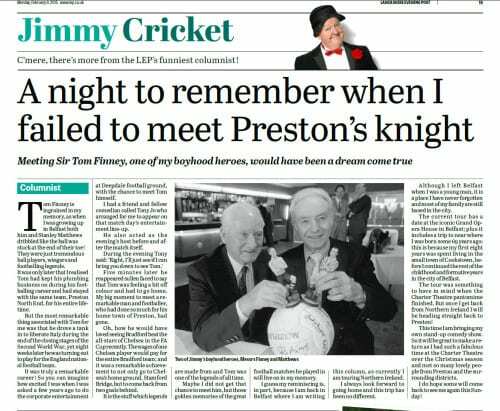 Jimmy Cricket has come in for high praise from fellow comedian Roy Hudd OBE. 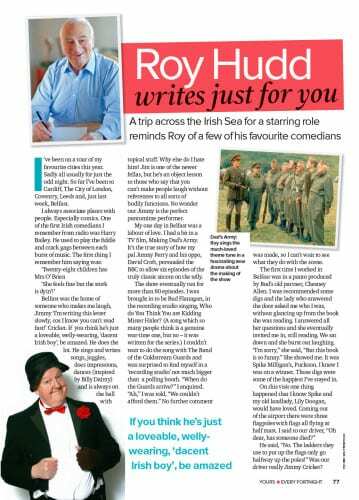 In one of his recent columns in Yours, a fortnightly magazine for women over the age of 50, Roy says Belfast was “the home of someone who makes me laugh”. 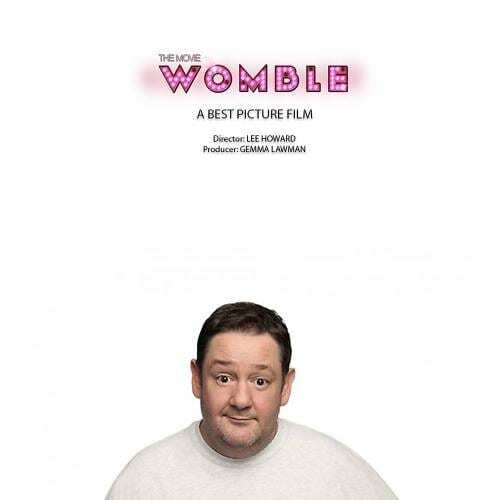 The 79-year-old adds: “If you think he’s just a loveable, welly-wearing, ‘dacent Irish boy’, be amazed. 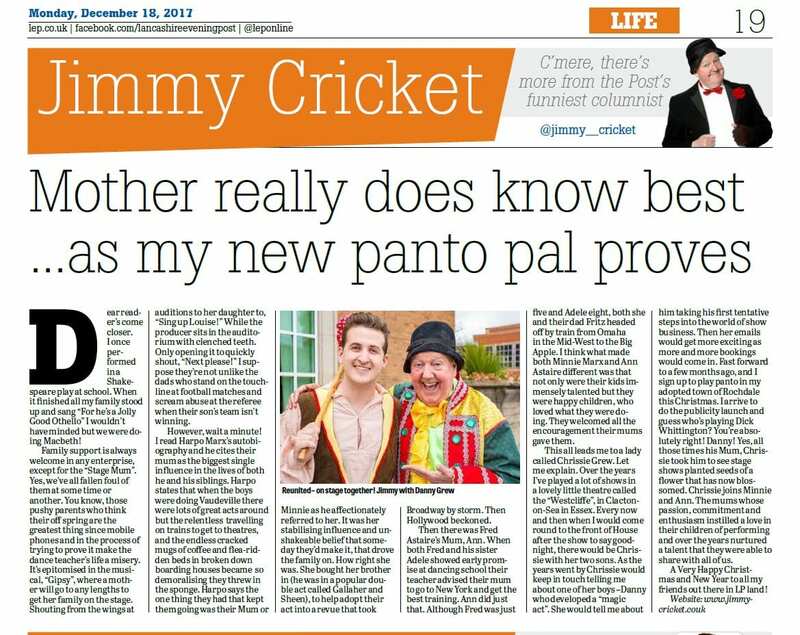 Roy also describes Jimmy as “the perfect pantomime performer”. 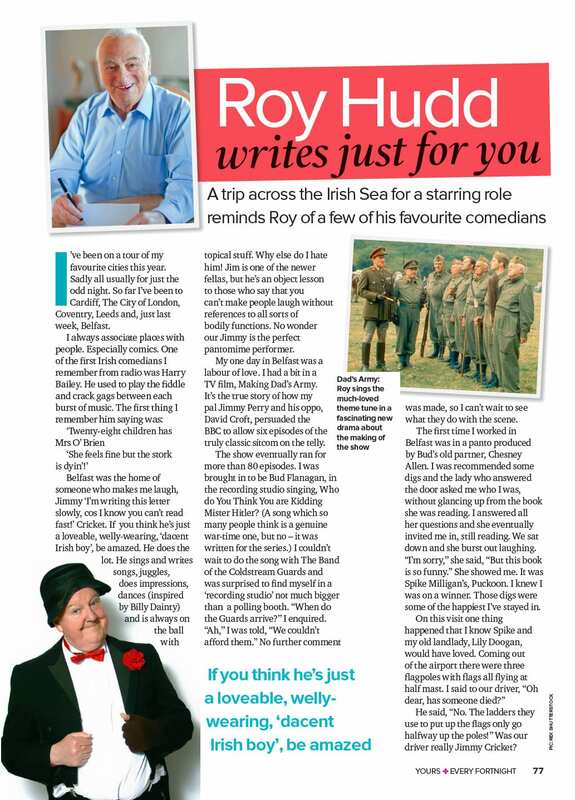 As well as being a comedian, Roy is also an actor – he appeared as undertaker Archie Shuttleworth in Coronation Street – a radio host, author and authority on the history of music hall entertainment. 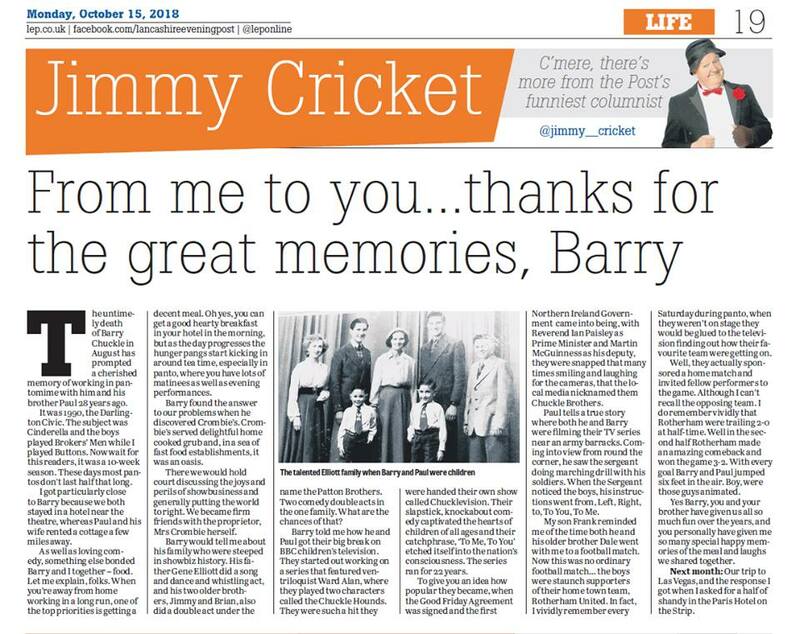 Jimmy Cricket was reminded of a Christmas pantomime past through a series of photographs sent to him recently. 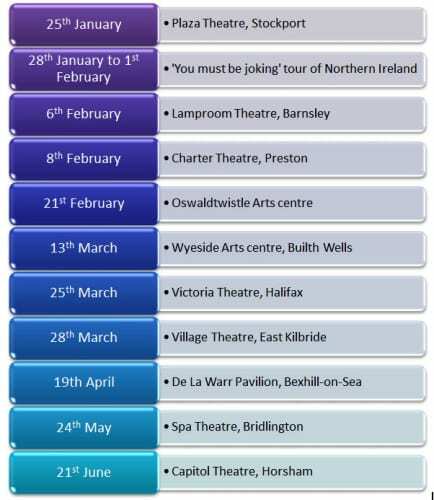 The pictures were from the 2010-11 festive season when the famous entertainer appeared at the Doncaster Civic Theatre in a panto version of Aladdin. 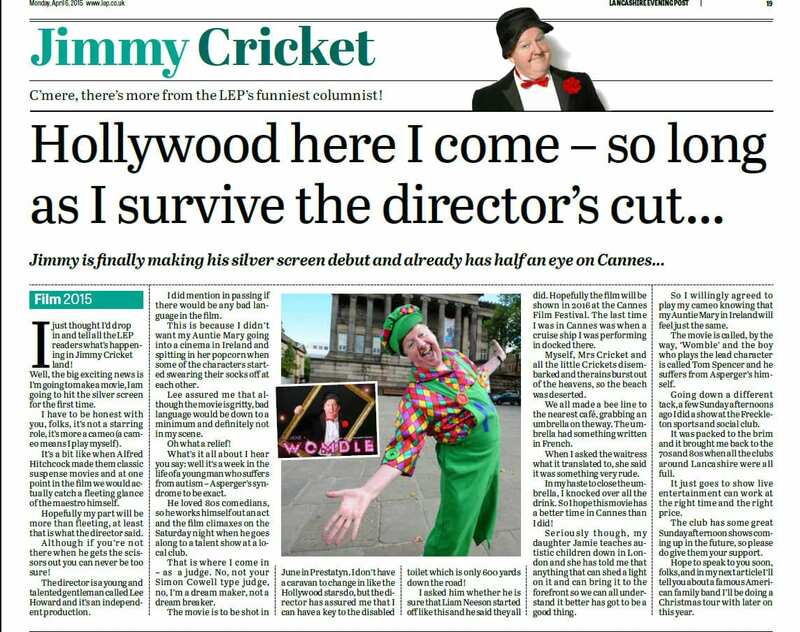 This Christmas show was produced by David Lee of Pantoni Productions and it was he who sent Jimmy the images in the slideshow above. 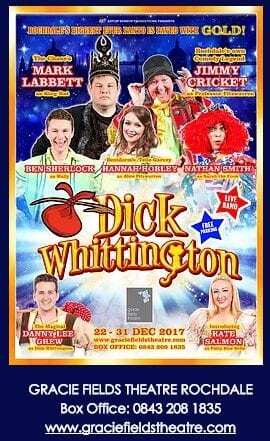 Since Aladdin there has been a change of scenery for the arts in Doncaster because this pantomime was one of the last before the civic theatre was demolished. 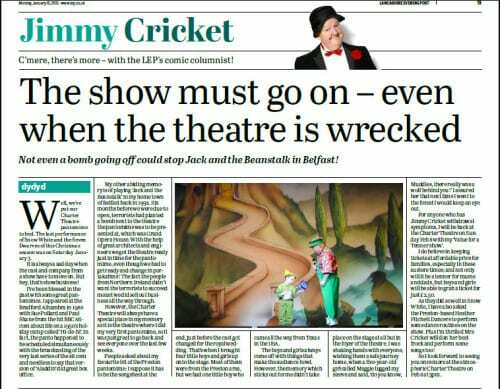 It was replaced by a brand new modern arts centre called Cast and so now only memories remain of what was the town’s main auditorium for a number of years.